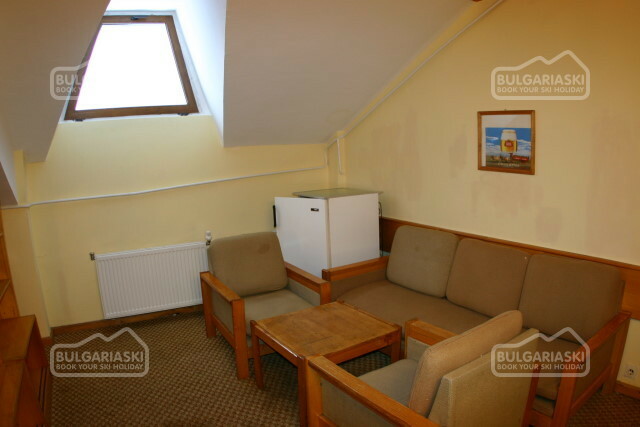 Location: Hotel Rila is a comfortable and spacious complex huddled between venerable pine trees in the center of the small mountain resort Semkovo. Accommodation: The hotel offers 90 rooms each with WC/ bathtub and an incredible view towards the mountain. The rooms in the hotel are warm and cosy and offer magnificent views to the venerable pine trees that surround it. 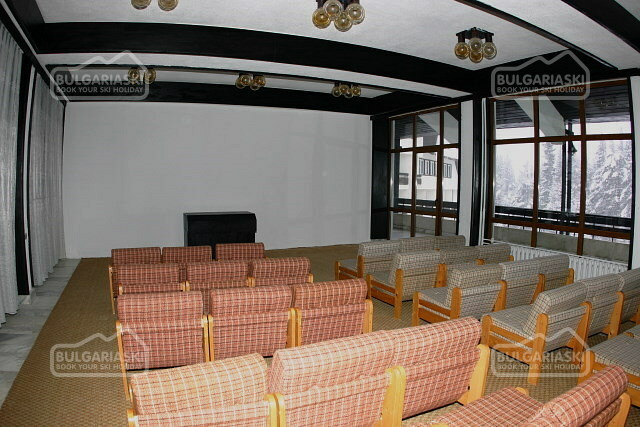 Facilities: The hotel offers a spacious atrium style lobby with games, restaurants, coffee lounge indoor swimming pool, sauna, hydrojet, massage, gym, ski depot, extensive convention facilities including 4 multi functional medium sized conference rooms and the Semkovo conference hall with a capacity of 250 seats. 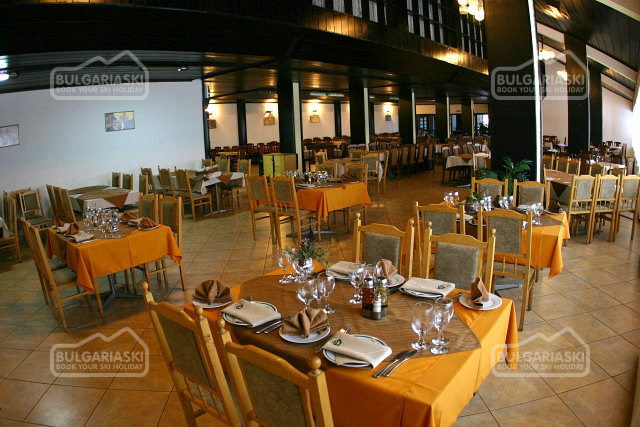 Wine and Dine: A spacious restaurant with incredible mountain view offers great choice of healthy food. Friendly and professional staff will take care for your complete comfort. 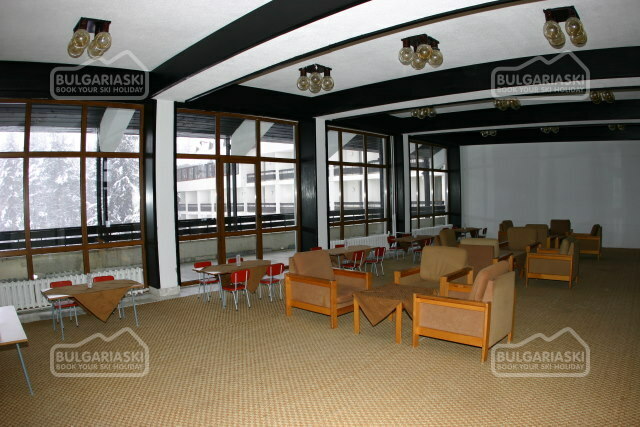 Apre ski: After a long day on the slopes you can just sit in the spacious lobby and relax in comfortable armchair before wide panoramic window. 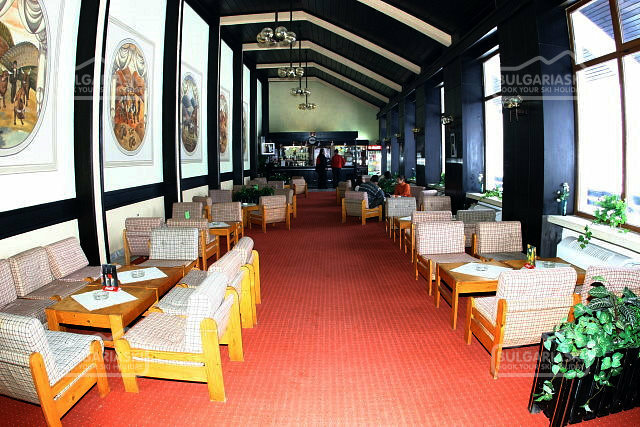 You can also have a drink in the panoramic day bar that faces the beginners piste just behind the hotel. Party lovers will definitely find their place in the night club of the complex. Sport & Recreation: The sport and recreation center offers spacious gum with basic fitness equipment and a dancing hall for aerobics, ballet and etc. There is nothing better than a hot hydroget followed by a relaxing massage after a long day in the mountain. 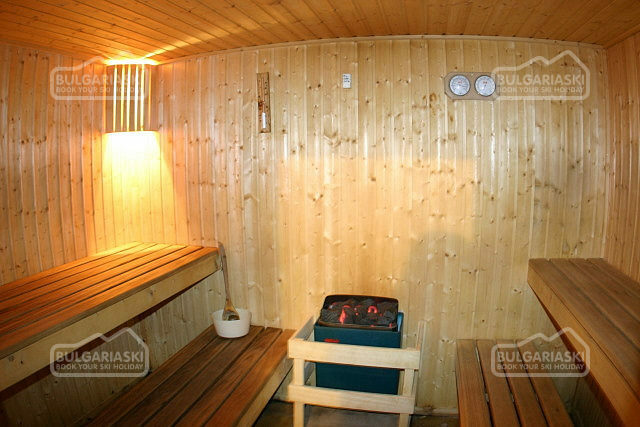 The sauna will also make you feel fully relaxed. Tourists who like to swim can do it in the spacious indoor swimming pool of the complex. 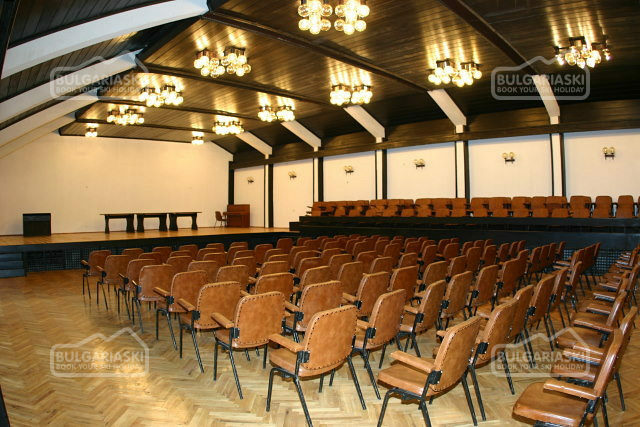 Convention Facilities: The hotel offers spacious conference hall with a capacity of 250 people that can host different business or official events. 4 multi functional medium sized conference rooms are providing additional comfort for small meetings. 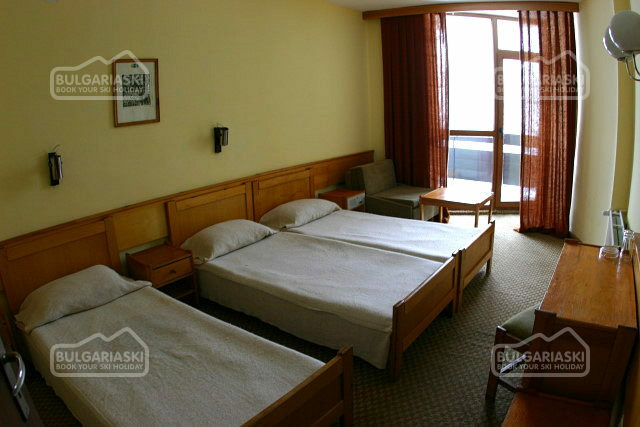 Mountain activities: The hotel is a starting point for mountain hiking routes to the stupendous scenery of the Rila National park. 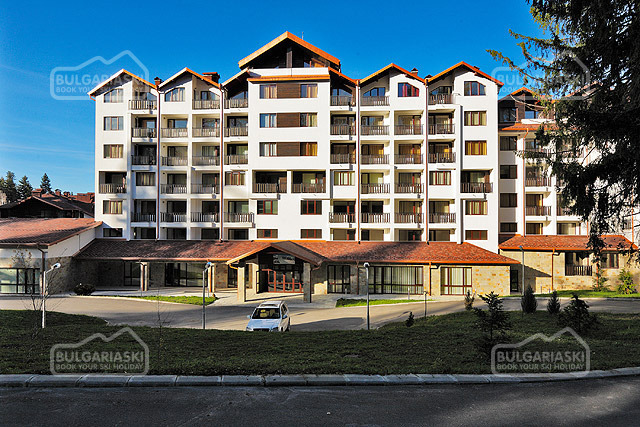 i like to come to Semkovo , I am from Macedonia Skopje, iskam da dojdam vo Bulgarija kolku struva za 4 persona za polupansion i dali moze da mi se dade telefonskiot nomer od hotelot. As beh vo Semkovo vo 2006 godina i iskam pak da dojdam. 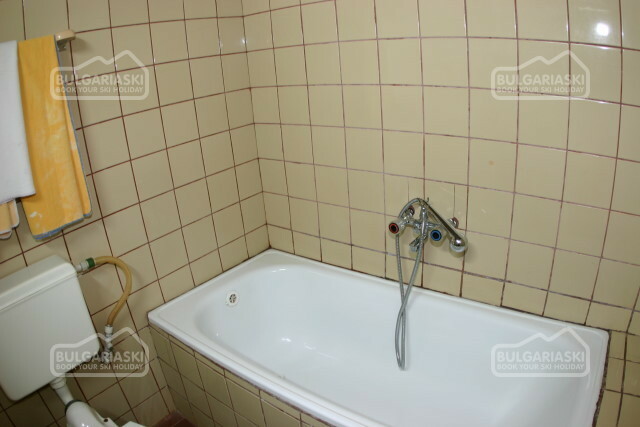 Pisete blagodarja. 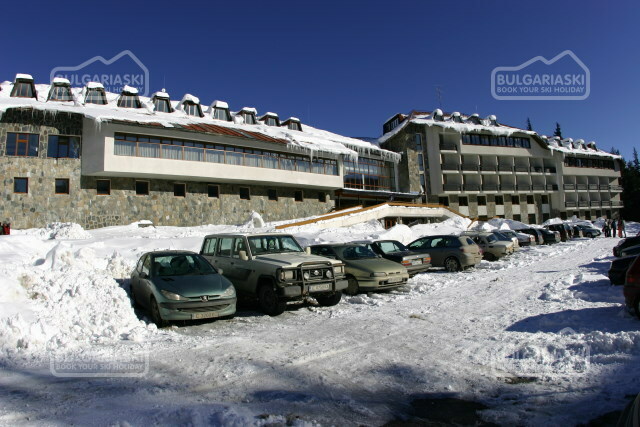 Please, post a comment on Rila Hotel.